This album is only available in Norway and Sweden (NB: The album was released in Sweden on 17th November 1997, four years after the Norwegian release). It features 12 tracks with lyrics written by Norwegian post-war authors, all sung by Morten in Norwegian. The CD sleeve is a fold-out black digi-pak. The front has a glossy black and white picture of Morten holding a microphone in one hand and the other drooped over the stand. Morten is positioned down the left hand side of the sleeve. 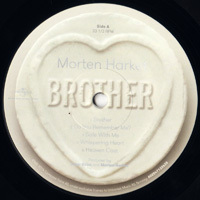 The title plus "Morten Harket" are printed in cream coloured letters (separated only by a thin red line) on a black matt rectangle which is positioned off-centre towards the bottom right corner. The reverse of the cover is matt grey with the track listings printed in cream coloured letters. Additional text is printed in red in the bottom right section of the sleeve. Inside the digi-pak, album details are printed in cream and red coloured letters. There is a pocket in the centre which houses the 8 page CD booklet. The front of the booklet is black with the title in cream and red letters across the top with a brown and white illustration of a man below. The pages of the booklet are white with lyrics in black and several more black and white illustrations. Text by Håvard Rem is printed on the inside of the cover. On the reverse of the opened out digi-pak the picture of Morten, the same as that on the front cover, is faded to the background with more cream text in the top right corner. The disc is black with cream-coloured text plus record company logo. 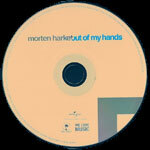 The only colour on the disc is a small red line separating the title and "Morten Harket". The album was also available on cassette. The cover is of similar design to the CD digi-pak, but the printed colours are slightly different (eg. the rectangle on which the titles are printed is brown rather than matt grey). It features the lyrics but not the additional illustrations of the CD booklet. The cassette is transparent / grey with white titles. 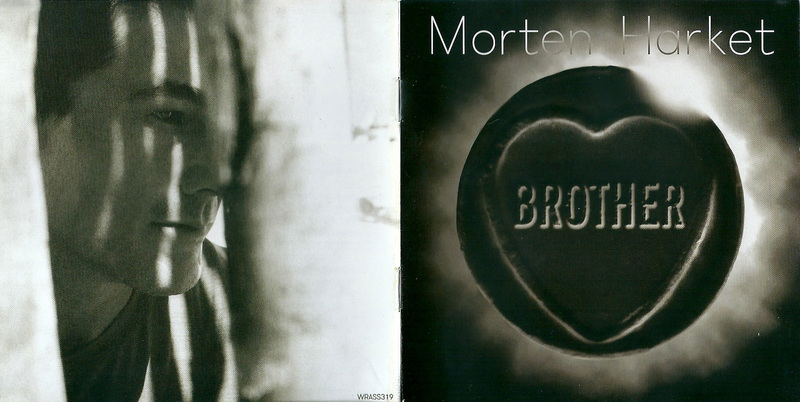 Morten's first internationally released, self written album (with main collaborators Håvard Rem and Ole Sverre Olsen) was produced by Christopher Neil, arranged by Kjetil Bjerkestrand and mixed by Simon Hurrell except "Lord" by Lasse Hafreager, mixed by Truls Birkeland. One track on the album ("Ready To Go Home") is a cover version by W.A.Gold and G.Gouldman. The main musicians featured on the album were Per Lindvall on drums, Eyvind Aarset and Frode Alnaes on guitars, Øivind Madsen on bass and Kjetil Bjerkestrand on bass synth. It is a collection of twelve tracks sung in English language. The album was made in Germany, but distributed for sale in many other countries (both inside and outside Europe). The album was released on 1st September in Sweden. The cover features an old-style brown and white picture of Morten wearing a waistcoat plus sarong and carrying an old-fashioned type writer. The picture is made to look like he is standing behind a pane of broken glass. 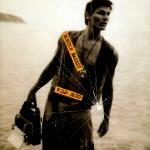 In addition, "Morten Harket" and the title are printed in black type-faced letters along orange strips which are placed at angles to each other in the middle of the sleeve. The CD insert folds out measuring 27Ω"x4Ω" when extended fully. The background is a mix of light brown and black with the lyrics printed in black text on groups of white strips. There are 5 small black and white pictures: two shots of Morten, some rope, a typewriter and a rock! The reverse features three brown-tinge black and white pictures of Morten, one of which has the top half missing, and additional black text on some more of the white strips. The CD tray is clear, through which you can see another `old-style' brown and white picture of Morten walking away, but still holding the typewriter. The back insert features another brown-tinge black and white shot of Morten with type writer which has been printed at 90 degrees to the usual orientation. The tracks are printed in black on white strips in the top left corner whilst additional white text is placed down the right hand side of the picture. The CD is black with all text written in white except for the title which is printed in black type-faced text on white strips. There was a promo edition of the album which comes in a blue and white Warner Brothers sleeve. The top third of the sleeve is white with small light blue "WB Records"-logos while the bottom section is light blue with one large white "WB Records"-logo in the centre. 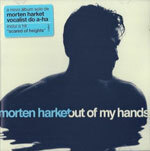 "Morten Harket" is printed in black letters inside a white strip with the title in blue letters on a black strip directly underneath. The tracks are listed in black in the bottom section of the sleeve while the catalogue number, release date and promo details are in black and white letters on respectively white and black strips. The disc is of similar design to the cover with the white sections replaced by silver. The tracks on the promo CD are in a different order compared to the regular release. The versions of the tracks are all identical to the regular release, except for "Half In Love Half In Hate" (listed as "Half In Love" on the promo) which is different and has a running time of 4:47. This promo was also made in Germany. 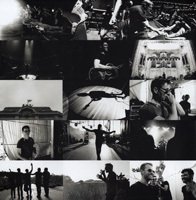 The fold out sleeve of the German made cassette is similar to that of the CD insert: The lyrics are again printed on clusters of white strips on one side of the insert, but the five small pictures have been omitted. 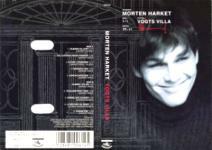 The reverse features only two of the brown and white pictures of Morten found on the CD packaging, but they are printed in full length. The spine of the sleeve has the title printed in black typed font on a white strip down the middle with the catalogue number at the top and "WB" logo in white at the bottom. The back sleeve has the barcode on the left hand side with the track list, printed on white strips down the middle and right hand side. The back also includes German manufacturing and copyright information. The actual cassette is transparent / grey with white titles including track listing, manufacturing and copyright information plus the "WB" logo. There is a promo sample cassette featuring five tracks from the album (A Kind Of Christmas Card, Spanish Steps, Brodsky Tune, Tell Me What You See and East Timor). It has a white paper "Tape To Tape" sleeve with black titles and grey wea logo. There is also an advance promo cassette of the album. Again it comes in a white paper "Tape To Tape" sleeve with black titles and grey wea logo. Promo: A Kind Of Christmas Card / Spanish Steps / Los Angeles / Brodsky Tune / Wild Seed / Tell Me What You See / Lay Me Down Tonight / East Timor / Half In Love / Stay / Lord / Ready To Go Home. The cassette has similar cover design to the German release, but the picture has been slightly zoomed cropped. The fold-out insert has slightly different pictures, layout and font sizes. The spine and back insert are black with white text. The cassette is transparent / grey and includes some Chile manufacturing information. Japan: The Japanese CD comes with the bonus track "A Change Is Gonna Come", cover version of the Sam Cooke song, recorded live at Helgerud church in Norway. This track is not listed on the back sleeve, but is on the disc itself. The cover and disc artwork is similar to the European issues but has the title printed in Japanese on one of the spines. The CD comes with a white obi-strip with titles black, brown and orange. In addition to the CD booklet, it comes with a white folded paper lyric sheet with lyrics and some history printed in Japanese. The promo edition is the regular release but with the Japanese text for promo/sample printed in black around the centre of the disc and a white promo sticker with red text on the back sleeve. 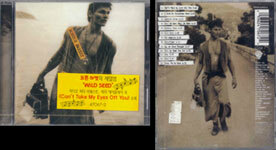 There is a Korean edition of Wild Seed which contains the bonus track "Can't Take My Eyes Off You" (track 1). It has a similar sleeve to the regular European release. It comes with a yellow sticker on the front with red and black text, advertising the extra track. The track listing on the reverse of the sleeve has been modified to include the bonus first track. The booklet also includes the lyrics to "Can't Take My Eyes Off You". The disc includes the text "Warner Music Korea LTD". There is a promo edition of this album which has a yellow promo "not for sale" sticker stuck over the barcode on the back cover. This promo (and regular edition?) comes with a white information sheet with information and history about the band in Korean. There are at least three different variations of the Korean Wild Seed cassette album, all pressings come with the regular front cover album artworks and fold-out insert, but the layout of the spines and back sleeves differ on each one. The first pressing was "Manufactured by HWA EUM Records" and unlike the CD release, it doesn’t include the bonus track "Can’t Take My Eyes Off You", it comes with a white coloured spine and large black printed text, the title "Wild Seed" is displayed landscaped in both Korean and English with the "WB" logo oriented at the bottom. The back sleeve is light grey, also with black printed text and comes without a barcode. The full track listing is displayed in two columns for both sides "A" and "B" located down the centre; it includes the European Catalogue number 9362-45912-4 at the top right hand corner. There is some Distributing, Manufacturing and Copyright information shown along the bottom; "Distributed by WARNER KOREA Ltd. A Warner Music Group Company. Manufactured by HWA EUM Records Co. Ltd. Registration No. 275 to the Ministry of Culture & Sports. Made in (95.10.30) 9510-L33904-L33915 Ⓓ 95-2845 (’95.10.23) Warning: All Rights Reserved. Unauthorized Duplication is a Violation of Applicable Laws". The tape itself is off white and comes with a light grey stickered label and blue printed text. 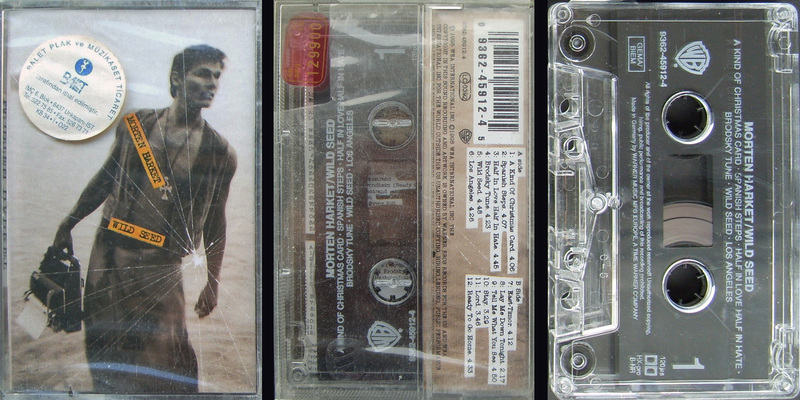 Along the top is "Morten Harket Wild Seed" with the track listing shown underneath to each side. On the left hand side is the "WARNER MUSIC KOREA" logo with Side "A/B" on the right. Displayed along the bottom of each side is some Manufacturing Information; "MANUFACTURED BY HWA EUM RECORDS LTD". There is another release of the cassette which was instead "Manufactured by SKC" and now includes the bonus track single; "Can’t Take My Eyes Off You" at the start, it is similar the CD release, it comes with the additional yellow sticker on the front showing the red and black Korean text. The spine itself like the first pressing is white, but comes with a slightly different layout, showing blue text rather than the previous black. The title has again been printed landscaped in the centre, but displayed smaller to include "WILD SEED" in uppercase lettering rather than the previous lower case. The "WB" logo has been relocated and printed orientated at the top with a shorted Catalogue number 47067-4 instead at the bottom. 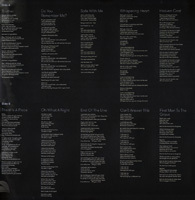 The back sleeve is grey with black text and displays the full track listing including the bonus track for side A down the left hand side and Side B down the middle, unlike the first pressing, the text has been printed in typewriter font. On the right hand side of the back sleeve, it includes some Production and Copyright information which reads; "℗ 1995 WEA INTERNATIONAL INC. © 1995 WEA INTERNATIONAL INC. THE COPYRIGHT IN THIS SOUND RECORDING AND ARTWORK IS OWNED BY WARNER BROS RECORDS FOR THE US AND WEA INTERNATIONAL INC FOR THE WORLD OUTSIDE THE US. UNAUTHORISED COPYING, HIRING, LENDING, PUBLIC PERFORMANCE AND BROADCASTING OF THIS RECORDING PROHIBITED WB 833". There is also a small white barcode "0 93624 70674 8" now included alongside. 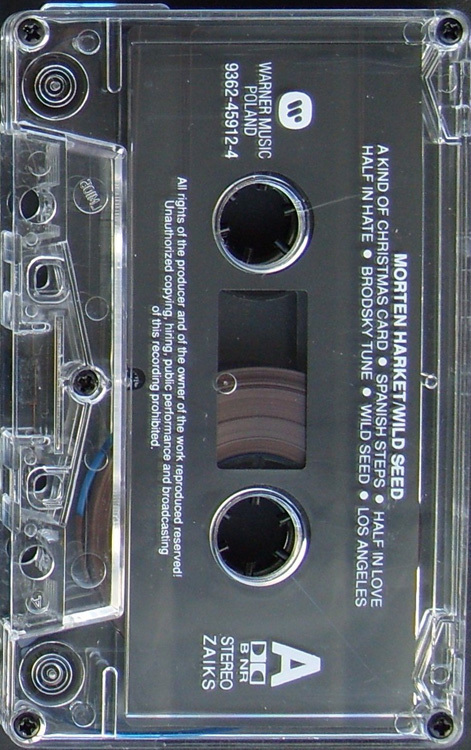 The tape itself differs somewhat compared to the first pressing; it is plain white with a slightly different shade of grey to the stickered label, with the text again printed in blue with the title "MORTEN HARKET – WILD SEED" along the top and full track listing underneath. On the left hand side, the "WARNER MUSIC KOREA" logo is displayed with Side "A" or "B" on the right. There is an additional "Warner Music" silver logo which has been added to the clear centre part of the tape, in-between both cogs to each side. There is a third Korean cassette release of "Wild Seed" which was again "Manufactured by SKC" and comes with the same regular front and back cover sleeve as the second edition, but doesn’t include the yellow sticker with the red and black text on the front cover. The layout and design is exactly the same apart from the colouring on spine has now been changed from white to bright yellow. The cassette comes with the same tape as the early second edition displaying the same "Warner Music" silver logo in-between the cogs to each side. 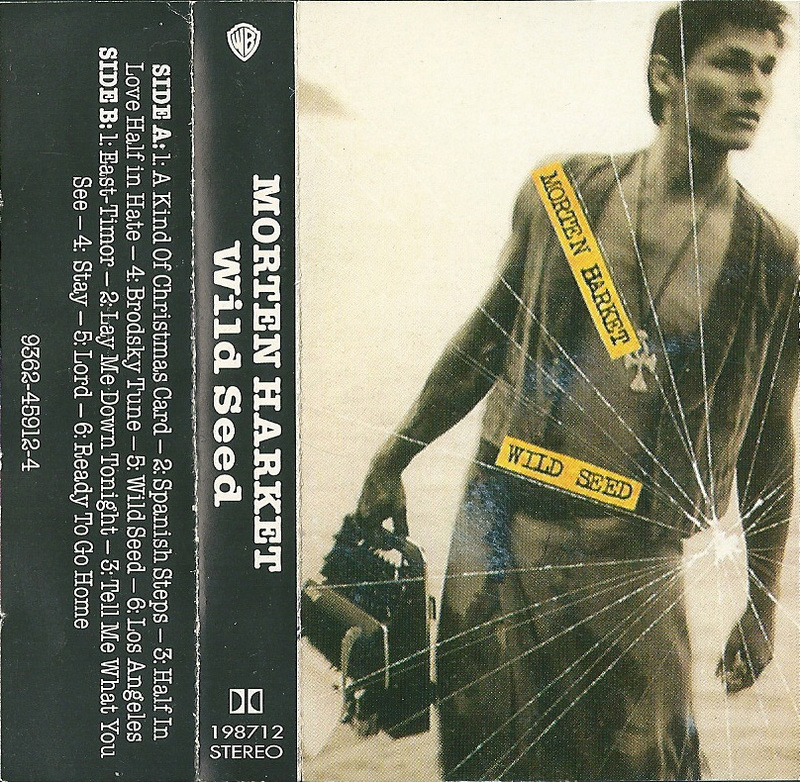 "Wild Seed" was also available on cassette in Malaysia; it includes a similar front and back foldout sleeve to the German edition, with the regular artwork showing an old-style brown and white picture of Morten wearing a waistcoat plus sarong and carrying an old-fashioned typewriter. The titles are again included in the usual black type-faced lettering located on orange strips and placed at angles to each other in the middle of the sleeve. There is an additional silver hologram sticker located in the top right-hand corner displaying an official coat of arms and filmstrip effect logos; it also includes the silver text; "TULEN KPDN & HEP ORIGINAL" and black coding 9610188A. 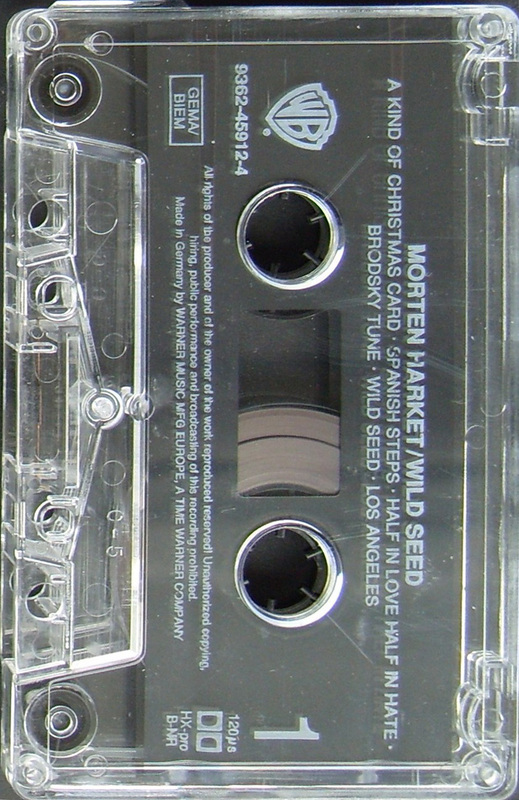 The spine of the sleeve has the title "MORTEN HARKET WILD SEED" printed in black typed font on a white strip displayed landscaped as usual down the middle, with the catalogue number 9362-48912-4 at the top and "WB" logo in white at the bottom. On the back sleeve, the same white barcode "09362-45912-4", which appears on the German edition, is located again on the left-hand side with the same track listing including track lengths, printed on white strips down the middle and right-hand side. The back also includes the same Catalogue number, LC0392 coding and "WB" logo. The regular manufacturing and copyright information which appears on the German edition is shown; "℗ 1995 WEA INTERNATIONAL INC. © 1995 WEA INTERNATIONAL INC. THE COPYRIGHT IN THIS SOUND RECORDING AND ARTWORK IS OWNED BY WARNER BROS. RECORDS FOR THE US AND WEA INTERNATIONAL INC FOR THE WORLD OUTSIDE THE US. UNAUTHORISED COPYING, HIRING, LENDING, PUBLIC PERFORMANCE AND BROADCASTING OF THIS RECORDING PROHIBITED", but the text; "MADE IN GERMANY BY" has been omitted leaving just the "WARNER MAUFACTURING EUROPE" name and logo. Additionally, included on the back of the cassette case is a small white rectangular sticker containing a Malaysian record company address; "EDARAN WARNER MUSIC (M) SDN BHD 9TH FLOOR, MUI PLAZA JALAN RAMLEE, 50250 KUALA LUMPUR BUATAN MALAYSIA" and engraved into the plastic of the actual cassette case is the large Warner Manufacturing Europe logo. The tape itself is transparent clear with a grey centrepiece, white text and blue cogs. The layout and font size of the text is somewhat different compared to the German edition. 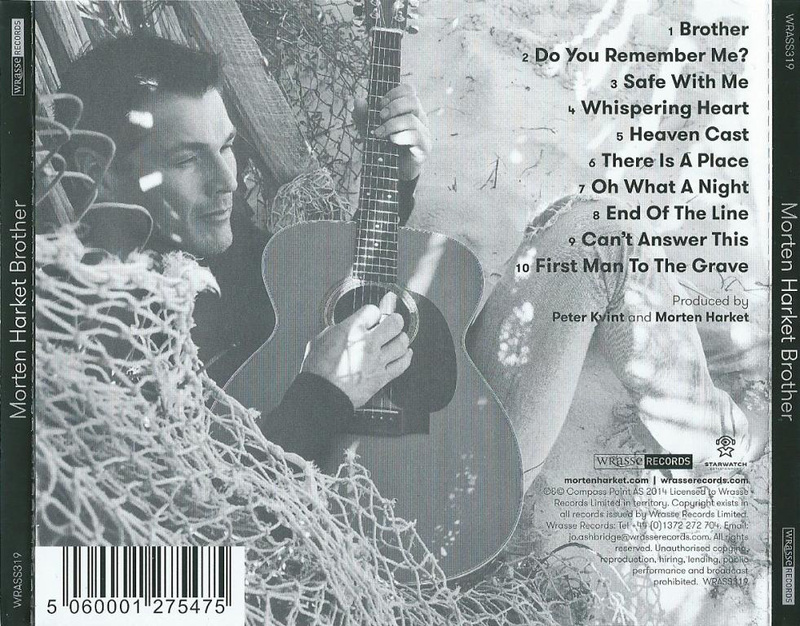 The title "MORTEN HARKET WILD SEED" is included along the top of each side, with the track listing shown underneath. The "WB" logo and Catalogue number 9362-48912-4 is included on the left-hand side, with either "Side A" or "Side B" on the right-hand side. Along the bottom of both sides is the same record company production and copyright text; "℗© 1995 WEA INTERNATIONAL INC.". The Polish cassette release is similar to the German one, manufactured by Polton in Poland. There is a silver "ZPAV" hologram sticker on the front cover. The folder insert is the same as the German edition, but with lighter printing. The catalogue number is printed in white at the top of the spine with the "WB" logo plus "WARNER MUSIC POLAND" at the bottom. The back cover also includes some Poland manufacturing information. The cassette is transparent / grey with white text, including "Warner Music Poland" . The disc is made in Taiwan by UFO Group under licence from WEA International Inc. It comes with a white obi-strip with black, orange and pink text. The disc is dark brown with yellow title, track list and information. There is a double sided card inside which features a shot of Morten on one side and adverts for the first six a-ha CDs on the other. The cassete from Taiwan is similar to the German release but with an additional red, blue and silver Taiwan sticker at the bottom left hand corner plus the Taiwan Logo is engraved into the bottom centre of the cassette case. On the spine of the sleeve, there is a Taiwan logo plus text. 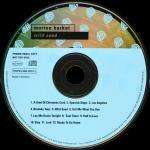 The title "MORTEN HARKET WILD SEED" is printed in black Text on a white strip. At the b is the "WB" logo plus catalogue number. The back sleeve includes some Taiwan text and manufacturing information. The cassette itself is black with grey text. 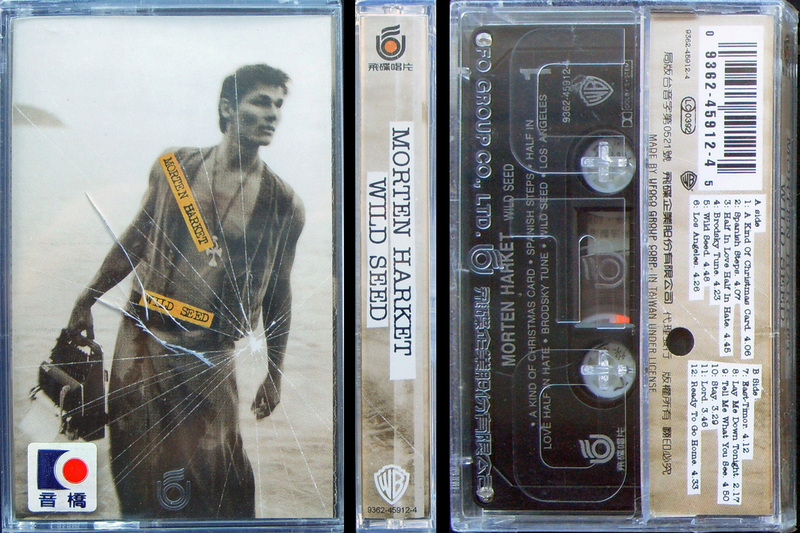 "MORTEN HARKET WILD SEED" is printed at the top in bigger font than the German Pressing. There is also the Taiwan logo which is also engraved into the case. The German cassette was used for promotional purposes in Turkey, it comes with a round white "BALET" promo sticker on the front with contact iinformation. This 10-track Norwegian sung album is only available in Norway and Sweden (NB: The album wasn't released in Sweden until 30th July 1999). It was written by Morten, Håvard Rem and Ole Sverre Olsen and produced by Morten and Kåre Chr. Vestrheim. The musicians featured on the album are Geir Sundstøl on guitar, Kåre Chr. Vestrheim on mellotron, Thomas Tofte on bass and Anders Engen on drums. Elisabeth Moberg on backing vocals and Martin Hedstrøm on guitar contribute on the tracks marked with *. The album was released on Norsk Plateproduksjon AS (a sub-unit of BMG) only in Norway. This album features the Norwegian version of Morten's song "Lay Me Down Tonight" and renamed "Vuggevise". The front of the CD booklet features a blue-toned black and white close-up shot of Morten smiling (by Knut Bry). To the left hand side there is a silver embossed drawing of "Vogts Villa". The title is written in white in the top left corner of the sleeve, with Morten's red printed autograph underneath. These titles surrounded by black outlines of rectangles. The embossed picture of "Vogts Villa" continues round to the back of the booklet with a blue toned picture of the inside of one of the rooms of the villa. 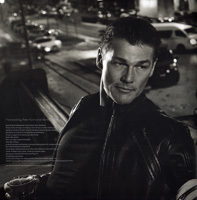 The 8-paged booklet features three large and three small pictures of Morten. The booklet also features pictures taken on both the inside and outside of the villa. The lyrics are printed in white, inside white outlined rectangles, above some architectural drawings of the villa. The CD tray is clear, through which you can see a picture of a tree taken from underneath, looking upwards. The back insert features a black and white picture of Morten climbing up a tree. 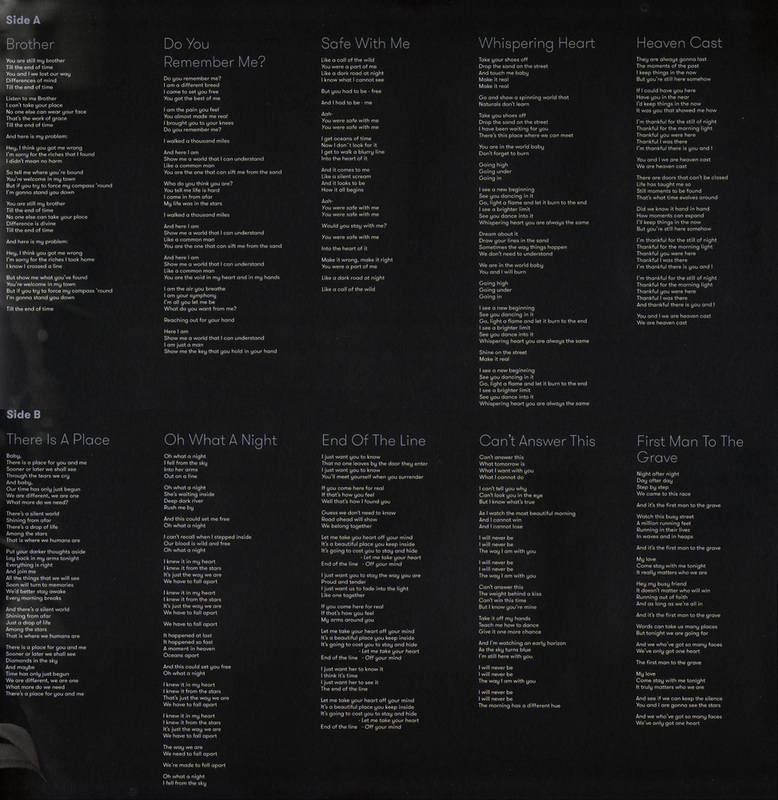 The track listing is printed in the bottom right hand corner inside a black outlined rectangle. The `tree picture' continues round to the spine with titles printed in white and red. The CD is black with dark grey embossed details of parts of the "Vogts Villa" building. The titles are in white and red, again inside white outlined rectangles and are placed at the top, left of the disc. This album is again available on cassette, the insert of which is similar to the CD booklet but it does not contain the lyrics. The cassette is transparent. 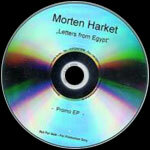 Morten's second English sung solo album "Letter From Egypt" was released in Norway on 19 May 2008. The cover features a shot of Morten in Morocco, standing just outside a circle of rocks which have red religious symbols painted on them. In the background there is a girl standing by a deserted telephone box and a car on a distant track. 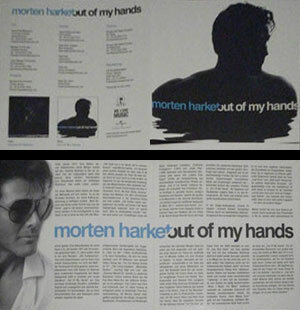 Above the picture, morten harket is printed in white hand written letters and the title is in black underneath. The cover is made to look like it has a big crease down the centre. The album is available in a digi-pak and in a jewel case in Norway. Both have the same cover design and come with an 8 page "dirty looking and coffee stained" booklet featuring the lyrics and track information. The booklet which comes with the digi-pak has been printed in slightly darker tones. The discs are black with white titles and text. 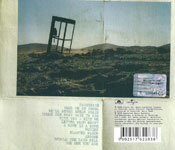 The back cover has a picture of a deserted telephone box in Morocco which has been printed on some folded dirty looking paper. The track list is printed on the bottom left hand side. The inside of the digi-pak features more of the dirty folded paper. The booket is housed in the left hand side of the digi-pak and the disc is held in a plastic transparent tray on the right. There is a Norwegian 4-track promo album sampler. 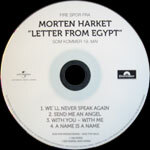 The disc is white with "Fire spor fra Morten Harket Letter from Egypt Som kommer 19. Mai" printed at the top of the disc and the four tracks: We'll Never Speak Again / Send Me An Angel / With You - With Me / A Name Is A Name" printed at the bottom. The Polydor and Universal logos are printed on the right hand and left hand side of the disc respectively. It doesn't come with a sleeve. The German edition comes in similar packaging to the Norwegian digi-pak, but the track listing differs slightly with "Slanted Floor" in place of "Shooting Star". There is a German promo 6 track acetate EP which comes with a white paper sleeve with black titles. The back of the sleeve features a track list and details. The disc is a regular CD-R with black titles. 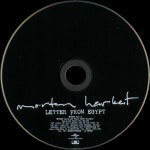 The title on the CD reads "Letters From Egypt" and the spacing on the cover suggests that the "'s" was removed after printing, so it is assumed that there was a last minute slight change to the title. The disc includes the tracks: Darkspace (You're With Me) / We Will Never Speak Again / There Are Many Ways To Die / With You With Me / Movies / The One You Are. There is also a German 12 track acetate promo album which comes with an A4 grey Universal Music International Division cardboard waller with 2 page German information sheet and photo. The CD comes in a slim-line CD case with a German Universal copyright sticker which wraps round and seals the case. 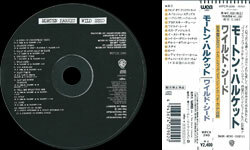 The disc is plain with black 'handwritten' printed title at the top and track listing printed in black at the bottom. The disc also includes the Universal and Polydor record labels plus the text "Not For Sale - For Promotion Only". The German digi-pak edition (featuring Slanted Floors) was available in Israel. It has a white info sticker on the front in hebrew and a white helicon records on the back. The Russian edition comes in a jewel case and has a picture obi-strip with small versions of the two cover pictures on the front and advertising on the back. The album has the same track listing as the German edition and includes "Slanted Floors". The Thailand made edition comes in a digi-pak with a black circular sticker with white and yellow text on the front. The back cover has a white sticker with black text. The track listing is the same as the German edition. There is also a promotional edition without any stickers, but with a hole punched through the barcode on the back. The Ukrainian release come in a standard jewel case. On the back sleeve, there is some additional Ukrainian text above the bar code plus a silver hologram sticker with Morten Harket "Letter From Egypt" in black. Morten released his fifth solo album on 13 April in Norway, Germany and seven other European countries and slightly later in other parts of Europe and the rest of the world, including the UK on 14 May. 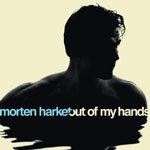 The cover of this ten track album is cream with a very dark shot of Morten's head and naked shoulders coming out of the water. 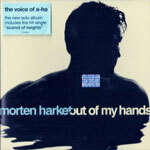 "morten harket" and the title is printed in one line of blue and cream letters respectively towards the bottom of the sleeve. It comes with a 6-page double sided booklet with another dark shot of Morten playing his guitar against a cream background. The other pages include the song lyrics (on a black background) and three pages with sky reflections on the water. The back of the booklet is cream with a blue silhouette shot of Morten similar to the cover shot, but facing the other direction. The back insert is cream with the tracks listed in the grey. The spines are also cream with the title in blue and grey. The inside of the insert is plain light blue, except for the left hand side which is plain cream and can be seen through the front spine. The disc is plain cream with the title in silver and blue at the top, the record company logos at the bottom in silver together with an angular silver shape on the right hand side. The German edition has a light blue sticker on the front with the text "the voice of a-ha the new solo album includes the hit single "scared of heights"" plus catalogue number. A bonus track "Undecided" was available to download as a bonus track through German iTunes. The album was produced by Erik Ljunggren (track 1,2,3,4,6), Steve Osborne (track 2,3,6,7,8), Peter Kvint (track 4,5,10), Morten Harket (track 5,10) and Jonas Quant (track 9) and Lars Hustoft (track 10); recorded by Erik Ljunggren (track 1,2,3,5,6,7), Steve Osborne (track 2,3,7,11) and Peter Kvint (track 4,5,7); mixed by Ulk Holand (track 1,4), Steve Osborne (track 2,7,8,11), Erik Ljunggren (track 3,6), Peter Kvint (track 5,10), Tor Einar Krogtoft (track 5), Lars K Hustoft (track 5) and Jonas Quant (track 9). 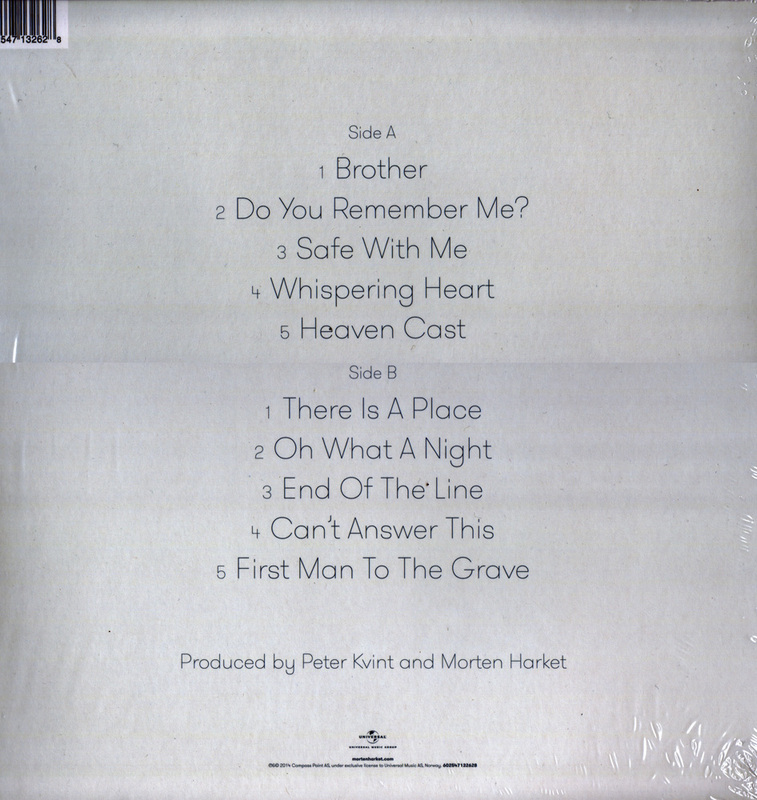 Music and lyrics by Espen Lind (track 1), David Sneddon, James Bauer-Mein and Julian Peake (track 2), Joakim Berg, Martin Sköld & Morten Harket (track3), Neil Tennant & Chris Lowe (track 8), Hågen Røremark, Christian Engebretsen & Tor Einar Krogtoft-Jensen (track 11); music by Morten Harket (track 4,5,7,10), Peter Kvint (track 4,5,7), Lars Hustoft (track 10), Joakim Berg (track 6,9), Jonas Quant (track 9); lyrics by Joakim Berg (track 6,9), Ole Sverre Oslen (track 4,5,9,10) and Morten Harket (track 3,4,5,6,9,10), Håvaried Rem (track 7). The album features drums by Karl Oluf Wennerberg (except tracks 5,9,10); guitars by Staffan William-Olsson (track 1,3,6), Steve Osborne (track 3,7,8), Dan Sundhordvik (track 2,4), Morten Harket (track 5) and Peter Kvint (track 7); keyboards/programming by Erik Ljunggren (track 1,2,3,4,6,8,11), Steve Osborne (except tracks 5,7,9), Kjetil Bjerkestrand (track 1), Pete Davis (track 3,4), Peter Kvint (track 4,5), Lars K Hustoft (track 5,10), Jona Quant (track 9), Ali Staton (track 10) and Snowdrop (track 11); bass Steve Osborne (track 11); bass and percussion by Steve Osborne (track 3,8); backing vocals by Eskild Sundt-Hansen (track 3), Neil Tennant (track 8); drum samples Vegard Fossum (track 10). There are at least two slightly different EU made pressings of the album. A second one has been printed with darker colours and the text on the back is green, rather than grey. The inside of the back sleeve is printed the wrong way up so that the white strip (cream on the UK/EU pressing) is on the right hand side, rather than left. There is a 7-track German promo featuring Scared Of Heights (3:25), Ligtning (3:53) / Burn Money Burn (3:55) / I'm The One (3:24) / Listening (5:00) / Quiet (4:21) / Out Of My Hands (3:37). It comes in a paper sleeve cover with artwork similar to the front of the regular release but with promotional text in the top left. It also comes with a 2-page colour press folder which has front cover similar to the album artwork. On the back there are small pictures of the album and single (Scared Of Heights) covers, information in black and the title in blue and black at the top. Inside there is a side facing shot of Morten wearing sunglasses, the title in large blue and black letters across the middle and information in German. The disc is plain (silver) with the titles in black. There is also an EU made 7-track promo which features the same tracks as the German promo. It comes in a yellow card slipcase with the same front cover art to the regular release but with "For Promotional Use Only" printed in black in the top left. The back of the sleeve has the titles across the top in light blue and black with the track list and track lengths below in black and light blue text respectively. The credits and copyright information are printed below in black with the track names highlighted in lights blue. The disc is yellow with the title in light blue and black across the top and the Universal, Island and We Love Music logos in black at the bottom. The copyright, manufacturing and Promotional text is printed around the edge of the disc in light blue. Argentina: The Argentinian release is similar to the European release, but comes with a silver "ifpi" hologram sticker plus blue "the voice of a-ha" sticker on the front. The back cover and outer edge of the disc displays that the album was distributed by Warner Music Argentina S.A. plus some Argentina copyright information. Promo copies have the text "VENTA PROHIBIDA" printed in blue on the disc of the regular release. The Brazilian release was distributed by Sonopress. It is similar to the European release. The blue sticker on the front of the case reads " O novo album solo de morten harket vocalist do a-ha inclui o hit "scared of heights" 2798711". There are five logos on the back cover, the three found on the European release plus a compact disc logo and Amazon flying bird logo. It also displays the Compass Point AS under exclusive licence to Universal V Domestic Pop, a division of Universal Music GmbH, all rights reserved text. There is some Brazilian Record company information on the bottom of the back sleeve. There is also a barcode with the code "AA0002000" suggesting that 2000 copies of the CD were Pressed. The booklet is similar to the European release but code numbers for each track are printed at the bottom of the inside back page. The CD is similar to the European disc but with the additional compact disc logo plus some Brazilian copyright and record company information around the outer rim. The Malaysian release comes with a peach coloured disc, instead of the usual cream coloured one. Like the EU release, the test around the disc says that it's released by Compass Point AS under exclusive licence to Universal Music Domestic Pop a division of Universal Music GmbH. The Marketing & Distribution information on the back cover is "South East Asia Only". There is also a small white sticker with the Universal logo and Malaysian contact information. There is a silver hologram sticker in the top right hand corner of the front cover in addition to the usual blue "the voice of a-ha" sticker. The booklet is the same as the European release. The Russian edition comes with a large white obi strip with a black and white shot of Morten sitting down playing a guitar. 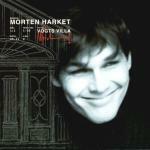 "Morten Harket" is printed in dark blue at the top with the title in grey. There is some additional text in Russian printed in grey plus "A-HA" printed in large light blue letters. "Romantika" is printed in purple at the bottom. On the back of the obi there are adverts for two albums by other artists with some Russian text in blue. There is also a small hologram sticker on the front. 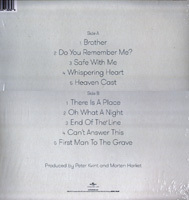 The back covers displays that the CD Album was released by Compass Point AS under exclusive licence to Universal Music Domestic Pop, a division of Universal Music GmbH. There is also some additional Russian Text including Record Company and website addresses. The disc is similar to the European release but with white text in place of the silver which is difficult to read. The Ukraine edition is identical to the Russian edition, but doesn't come with the obi-strip. It comes with an Ukrainian solver hologram sticker on the back cover. 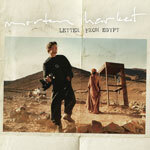 Morten released his sixth solo album on 11 April in Norway, Germany, Switzerland and Austria and on 14 April in the UK. The cover art features an inverted shot of the white "loveheart" sweet from the single which is black, rather than white. The loveheart appears to be glowing with white light coming from behind. 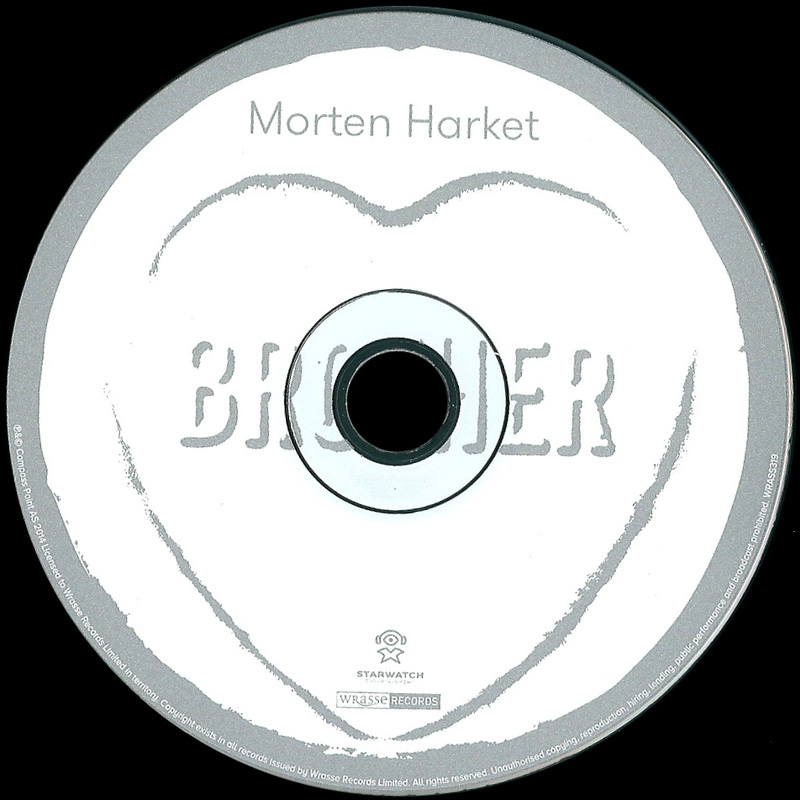 "Morten Harket" is printed in white letters along the top. The 12 page booklet has black pages with the song lyrics printed in white plus 7 shots of Morten, two of them colour, the other black and white. The disc is white with a grey rim plus the heart from the "loveheart" and "Brother" printed in grey. The CD tray is transparent, through which you can see the inside of the back sleeve which is black with lots of small glowing lights. 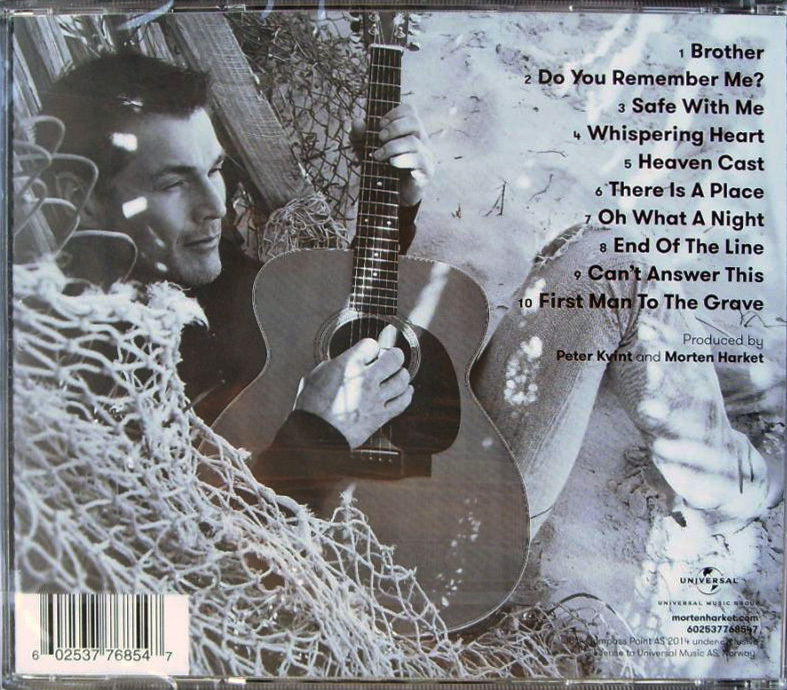 The back insert features a black and white shot of Morten sitting down on a bench next to some nets, guitar in hand. The track listing and copyright information is printed in black down the right hand side. The album was produced by Peter Kvint and Morten Harket and mixed by Peter Kvint at Studio Brun in Stockholm. It features 10 tracks with drums by Per Lindvall, piano and organ by Jesper Nordenström; cello by Björn Risberg; strings, drums and organ by Janne Hansson. All other instruments, music by Peter and Morten with words by Morten and Ole Sverre Olsen. On 7 January, a limited edition vinyl of "Brother" was released in Norway by Universal Music Norway. 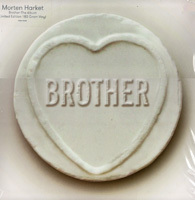 The cover is white with a large white embossed "BROTHER" loveheart filling most of the sleeve. There is a transparent sticker on the front sleeve with text in silver "Morten Harket Brother-The Album Limited Edition 180 Gram Vinyl 602547132628". The back sleeve is also white with the track list printed in silver down the centre. It comes with a 4-page black and white folded picture insert with shots from "Do You Remember Me?" music video. The front and back of the insert features a total of 30 live shots taken on tour. 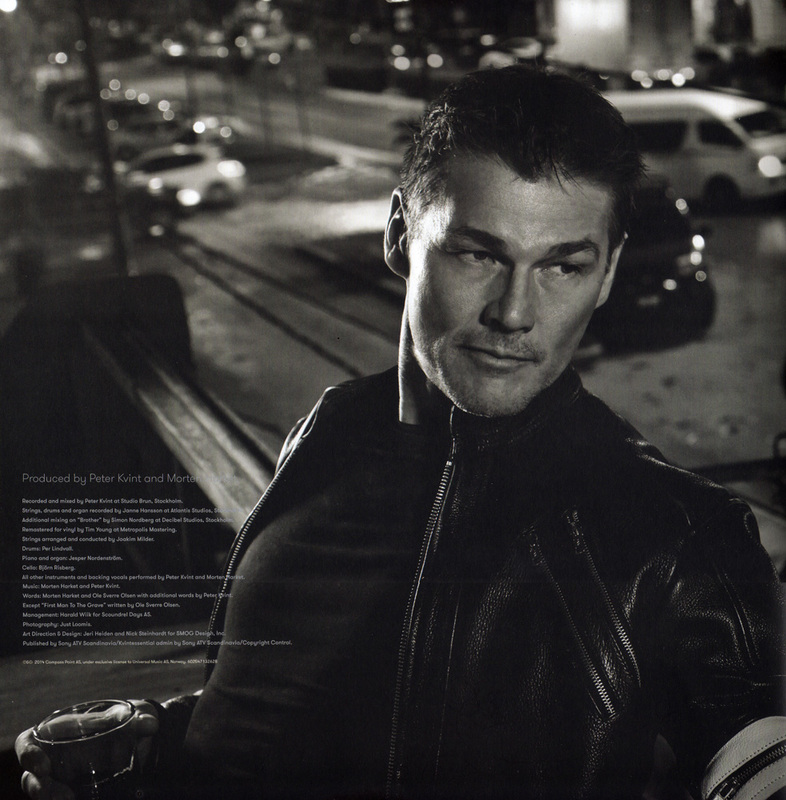 The inside features a large black and white shot of Morten wearing a leather jacket with production information printed in white at the bottom left hand side. The right hand side is black with the lyrics printed in white. The disc stickers are similar to the front cover of the LP with the lyrics printed in silver text over the bottom part of the heart. The album was remastered by Tim Young at Metropolis Mastering for the vinyl release. The European release of "Brother" is similar to the UK release but released by "Starwatch". The cover and disc is the same as the UK release, except for the different catalogue number, manufacturing information annd "Starwatch" logo. This release was used in Germany and comes with a white rectangular sticker on the front with the German tour dates listed in black. The German promo comes in a card sleeve with the regular front cover art but with "For promotional use only" printed in white at the bottom. 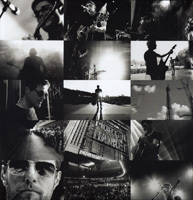 The back sleeve features a black and white shot of Morten sitting on the sand playing his guitar. The 10 tracks are printed in black down the right hand side. The disc is plain silver with black text, titles at the top, copyright information at the bottom. Unlike the UK and European CD pressings, the CD was released by Universal Music Group, rather than Wrasse Records or Starwatch Entertainment. The cover artwork and booklet is similar to the European pressing. On the back sleeve, there is a barcode in the bottom left hand corner with the number 6 02537 76854 7. In the bottom right hand corner is the UNIVERSAL MUSIC GROUP logo, plus the mortenharket.com website address. and catalogue number 602537768547. Underneath is the following manufacturer information: "(P) & (C) Compass Point AS 2014 under exclusive license to Universal Music AS, Norway". The cayalogue number and Universal are also printed on the spine. A Ukraine release is similar to the European release by "Starwatch" with slightly different manufacturing information, excluding the "Made in the EU" text. It also has a silver hologram sticker on the back cover.